Part-time winter resident Caryn Antonini believes that children who speak more than one language will have advantages later in life. Antonini, 39, who is fluent in five languages, studied children’s acquisition of languages, in addition to French and German, at Georgetown. She worked as a translator and in the gift industry, but had always had the idea of somehow getting involved in language education for children. 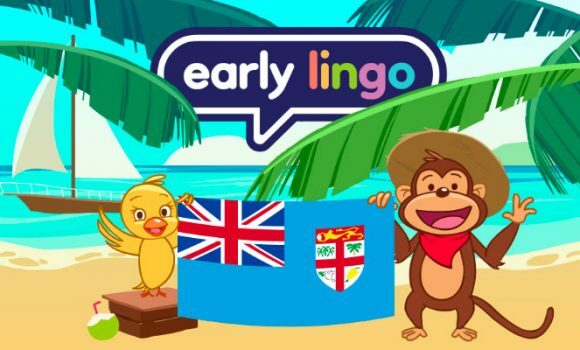 Now based most of the year in Los Angeles, Antonini developed the concept for Early Lingo, a series of instructional DVDs for children age 6 months to 9 years, in 2008. “It took several months to find an animator and about a year-and-a-half to develop the first DVD,” she said. Antonini decided she needed to launch the series with at least three languages, starting with English, Spanish and French. Her plan is to eventually offer 12 DVDs per language, all with same cast of characters. “Each DVD is like a mini-adventure,” she said, explaining that the characters featured — JoJo, a monkey, and Lulu — teach vocabulary, phrases and short sentences, giving a child a “solid foundation” in a language in a narrative fashion. The series launched in January 2011 after an investment of about $150,000, primarily covering the cost of production and replication of DVDs, she said. Each DVD is $19.99 with boxed sets of 6 sold for $99.99. The primary source for DVDs is via online retailers amazon.com or yoyo.com, with a handful of specialty stores across the country carrying Early Lingo DVDs. Locally, the C. Orrico Boutique, 336 S. County Road, has been stocking Early Lingo DVDs, after a highly successful trunk show at the store last December. “We thought it was a great idea,” said co-owner Casey Orrico, who saw the Early Lingo DVDs as a good addition to the range of gifts featured in the store’s children’s department. “I wish I’d had these around when my kids were young,” Orrico said. “We’ve sold thousands of DVDs in the first year,” said Antonini, who since has expanded the Early Lingo program to include Italian and Mandarin. “We’ll be putting out DVDs teaching German and Portuguese next,” she said. Antonini is especially pleased by the response to her language program because she has spent relatively little to promote them. “It’s really been through word of mouth and social media,” she said.